It can be difficult to find the right products for oily skin & acne prone skin. At Mattify, we specialize in 100% natural makeup and skincare to target problems caused by excessively oily skin, congested pores, and acne breakouts. Mattify's line of transparent matte powder and vegan makeup for oily skin contain an oil-absorbent base that soaks up oil for hours, without feeling heavy or clogging pores. This light weight blend prevents streaky foundation and breakouts - all while preventing shine from ruining your look. ​In addition to makeup for oily skin, Mattify Cosmetics also carries several plant-based skincare products to pamper acne prone, oily skin. Our products gently but effectively get to the root of skin problems, to release existing pore plugs quickly, and to stop pore congestion before it leads to breakouts. Select from our Green Tea Exfoliator, Aloe Gel Moisturizer for Oily Skin, Stop-Zit Moisturizer for Acne Prone Skin, Stop-Zit Natural Acne Treatment, Essential Oil Additives for Oily Skin or Scalp, and Face Masks for Oily, Acne Prone Skin. These do not contain Parabens, Dimethicone, or Animal Fats. Mattify: (v.) To reduce the shine or oiliness of the complexion. ​The entire line Mattify Cosmetic's products for oily skin is 100% natural, and most of our items are vegan. We do not include fillers in our products - each ingredient has a specific purpose. None of our products contain common skin irritants such as Talc, Pearl Powder, Dimethicone/Silicone, Sulfates, Parabens, or Bismuth Oxychloride. Mattify is a cruelty-free makeup company. ​These are our top 3 most popular items. Read the descriptions to find out why! Mattify ULTRA Powder double tasks as primer + setting powder, to absorb oil for hours on excessively oily skin. Eye shadow with built-in primer. Resists fading, transfer & creasing. Perfect eye makeup for oily eyelids. Mattify Tinted provides a light-weight, clean matte finish for oily skin. Great alternative to heavy liquid makeup. Customers visit the Mattify! 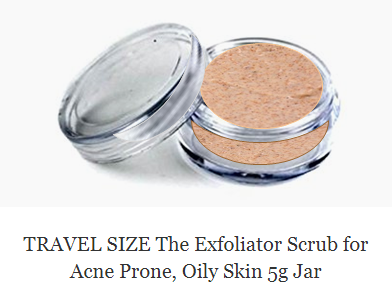 Cosmetics website not only to purchase products for oily skin, but also to read valuable information on proper skin care for oily, acne prone skin types. ​Click the links below to view our blogs! to Last All Day on Oily Skin? Our Mattify Powder for Oily Skin multi-tasks as both! Apply this light weight powder as primer before foundation, AND after foundation as an oil absorbent setting powder. We offer 3 different versions of Mattifying Powder for Oily Skin to suit your individual skin care needs: Select from Mattify! Original, Sensitive, or ULTRA. Each of these 3 formulas work as a clear oil-absorbent primer to protect pores and prevent oil before it can surface. After foundation, they can be applied as setting powder, to soak up excess oil and and prevent makeup melt down. You're left with a beautifully matte, poreless finish. These 3 miracle workers can also be used as eye shadow primer. Select ingredients to make your own customized mask, or shop our 4 pre-made masks! ​Select a Clay or Gel mask base – then have fun choosing your own additives that target specific skin concerns. Pick from 14 essential oils, 7 plant powders, and 10 high potency plant extracts. Choose from: An Enzyme Gel Mask that gently exfoliates, a Cooling Glacial Mask to reduce puffiness, a Detoxifying Clay Mask to purge pores, or a Reparative Honey Mask to help acne breakouts heal faster. NEW travel-size jars are filled with your favorite products from Mattify Cosmetics will be perfect to take along on all your summer adventures! 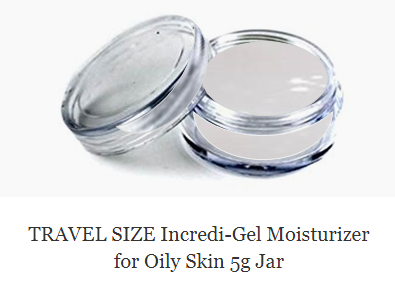 These 5 and 20 gram jars are sleek enough to fit in a pocket or small purse. Take the guess work out of skin care & save money, with these pre-designed kits! The Mattify Skincare Line works wonderfully for both women and men acne prone oily skin. Did you know? Many of our products are also designed for men with oily skin and acne. Our line of transparent powder forms invisible defense against oil, and our exfoliating, moisturizing & cleansing products promote a healthy, acne-free complexion. At Mattify! Cosmetics we keep prices low, while providing exceptional value. We will always avoid unnecessary “high-end brand” mark-up, so our products stay accessible to everyone. At Mattify! Cosmetics, we believe that people from all walks of life should be able to afford to look beautiful! We are also a cruelty-free makeup company! We love our animal friends ~ which means we have never and will never conduct animal testing. Since our products are used on humans, we test on humans (namely, on the employees of Mattify Cosmetics). We use 100% natural ingredients, so there is little risk of harmful reactions - unless in the case of specific allergies. All products are tested daily for a minimum of 8 weeks, before being released to the public. Add your email below to be notified!